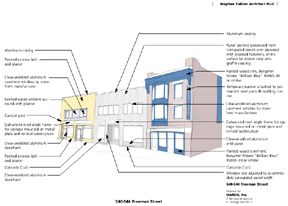 A strategic approach to neighborhood stabilization and redevelopment through the rehabilitation of long-vacant properties for first-time homebuyers, comprehensive planning, and inter-municipal cooperation. Between 1870 and World War I, the Valley neighborhood – approximately 40 blocks in Orange and West Orange – was the hat-making capital of the world. By 1900, the neighborhood had 35 hat factories, including the Stetson Hat Company (which later moved to Philadelphia). Beginning in the Great Depression, however, the neighborhood began to suffer, and between 1950 and 1970, most of the industrial base left the area, creating unemployment and abandonment. Today the neighborhood is home to several underutilized industrial sites, but the two cities and HANDS Inc., a community development organization in the Valley, saw beyond the abandonment and envisioned a vibrant, revitalized neighborhood that builds on the Valley’s assets: historic homes and factory buildings, lively community groups, a strong neighborhood identity, restaurants and parks, churches and schools, and a strategic location – 15 minutes from Newark and 30 minutes from Manhattan by train. HANDS Inc. works to stabilize and revitalize neighborhoods in Orange and East Orange one building at a time by redeveloping vacant and troubled properties and increasing homeownership by investing in first-time homebuyers. The nonprofit uses a unique strategy of picking the worst house on the block, relocating squatters and troublesome tenants, purchasing the building, and then renovating it for resale. This strategy, which is being used in the Valley neighborhood, has helped stabilize neighborhoods and create the necessary pre-conditions for revitalization. West Orange, Orange, and HANDS partnered with the New Jersey Institute of Technology, Rutgers University, and Seton Hall University to create a comprehensive neighborhood revitalization plan for the Valley called “Visions and Goals for the Valley.” The plan charts the neighborhood’s future for the next 10 years. It was created from the ground up with hundreds of people who participated in forums, surveys, and community meetings and is the product of those who believe that the Valley is a vibrant, vital place to live, work, and raise a family. The Valley Revitalization Plan was approved by the state, making the Valley the first neighborhood to receive plan approval under the Neighborhood Revitalization Tax Credit Act. The approval qualifies the area for special corporate tax credit contributions with corporations who contribute funds receiving a 50 percent tax credit. The Plan outlines goals encompassing a wide range of visions and hopes for the future of the Valley, including strategies to: strengthen neighborhood identity; improve housing conditions; redevelop key vacant properties and key underdeveloped sites; establish an arts district; improve a nearby train station and park; and increase the delivery of social services such as recreation, childcare, and health services. The Plan is already being implemented. For example, the proposed Valley Renaissance Center in the former F. Berg hat factory – which is just two blocks from the Valley’s Highland Avenue train station — that will include 29 market-rate condominiums, retail, and a community arts space for arts programs, workshops and events. HANDS acquired the Berg site and worked through the remediation of significant environmental issues and safety with both EPA and NJDEP. As part of the Plan’s implementation, HANDS and the two cities are working on a project called ValleyArts, which uses the arts as an engine of neighborhood revitalization. ValleyArts aims to enhance arts education, create jobs, expand tax revenues, and beautify and celebrate the neighborhood. 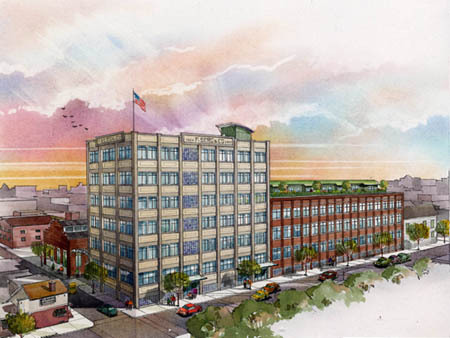 Among other things, they are transforming another hat factory into live-work-display space for artists, sponsoring an arts and music festival in June, and creating community arts spaces. This unique inter-municipal partnership and the resulting neighborhood plan promises great achievements for years to come, and shows that by capitalizing on existing assets and reaching out to the public, older communities can stabilize neighborhoods, preserve community history and pride, and enhance quality of life.